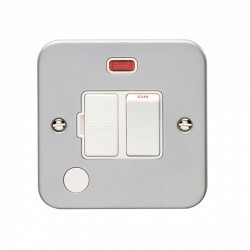 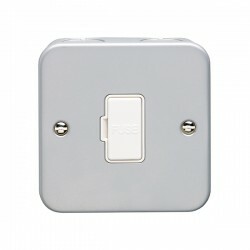 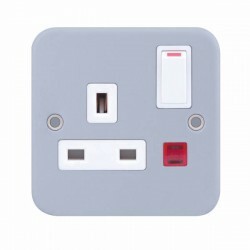 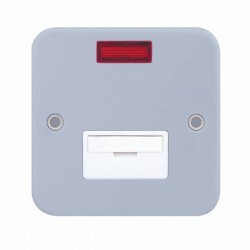 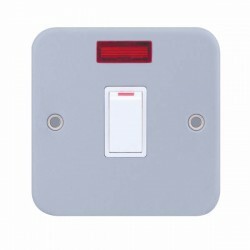 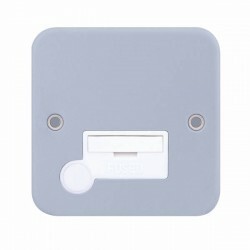 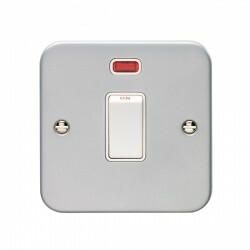 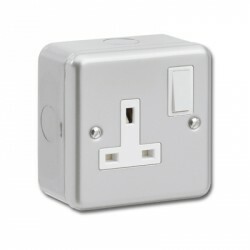 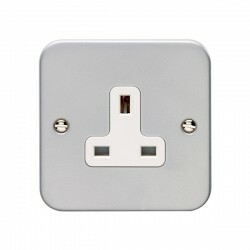 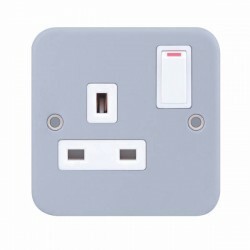 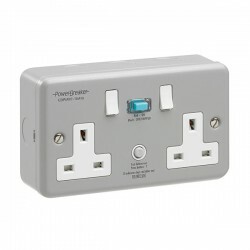 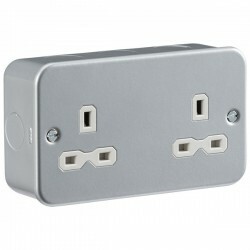 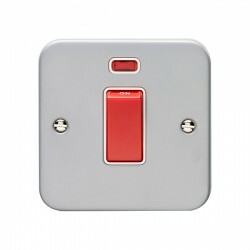 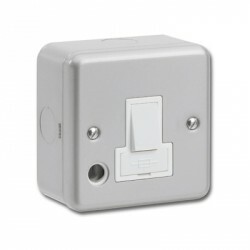 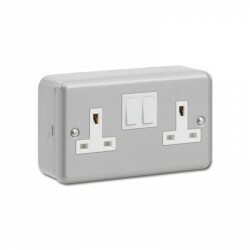 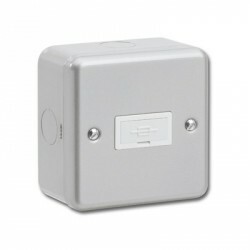 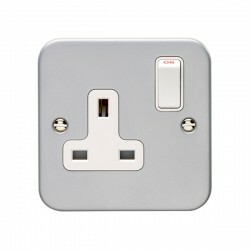 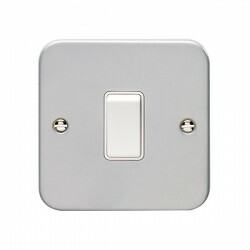 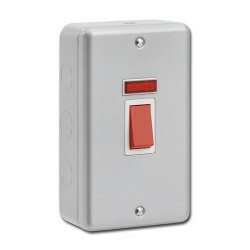 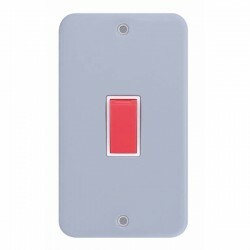 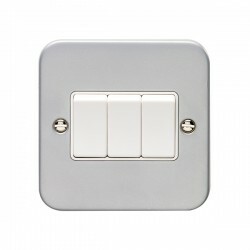 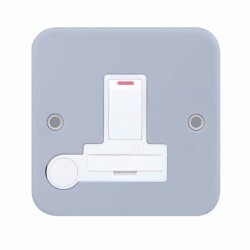 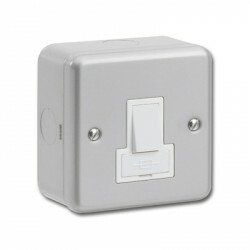 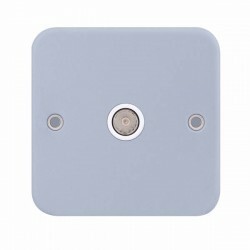 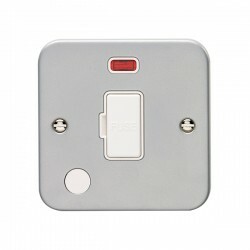 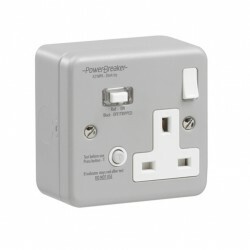 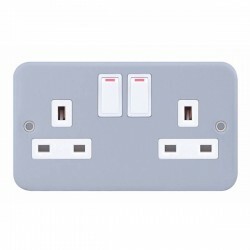 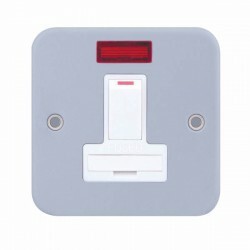 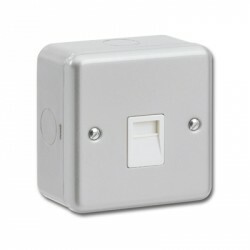 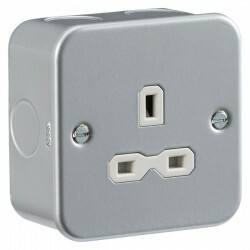 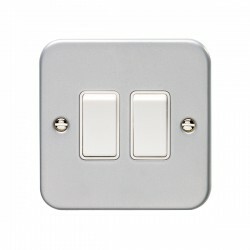 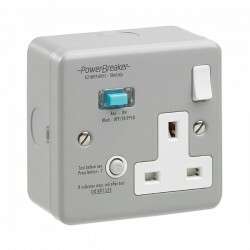 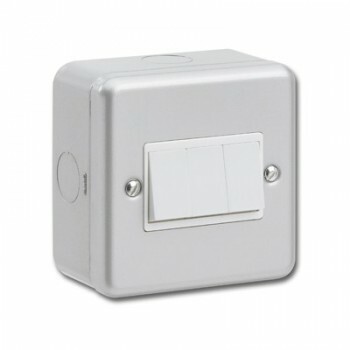 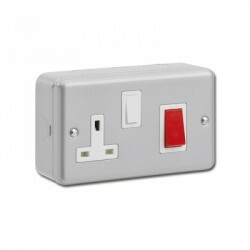 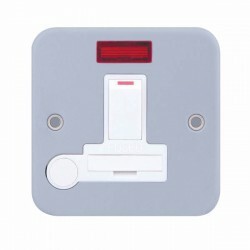 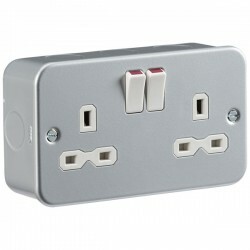 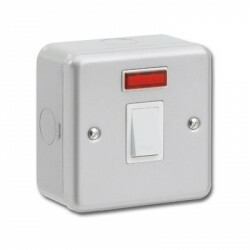 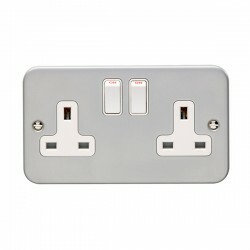 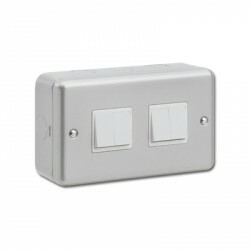 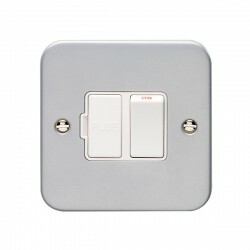 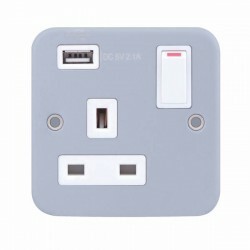 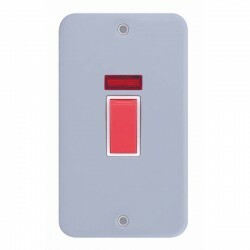 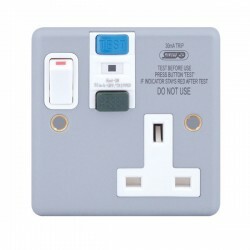 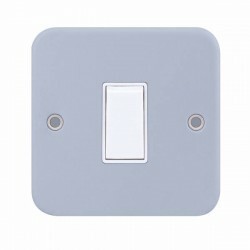 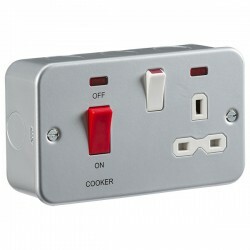 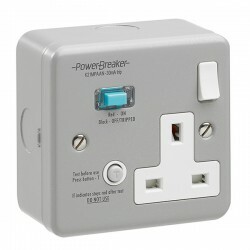 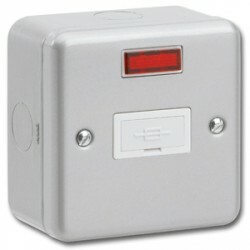 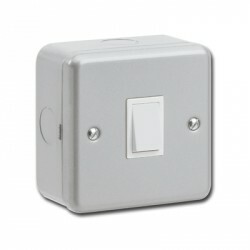 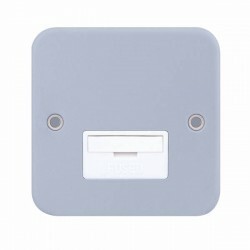 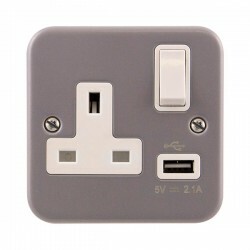 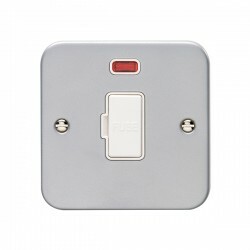 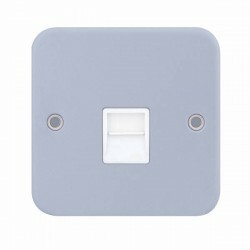 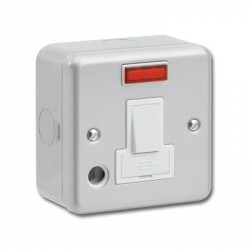 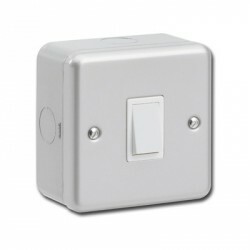 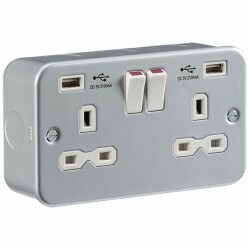 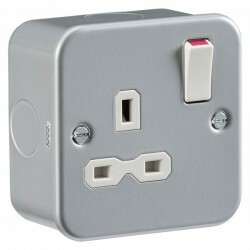 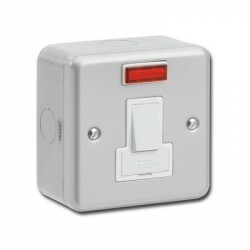 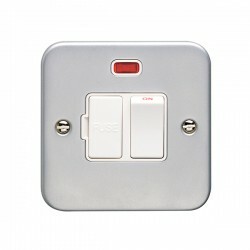 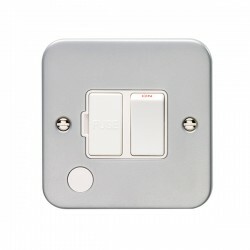 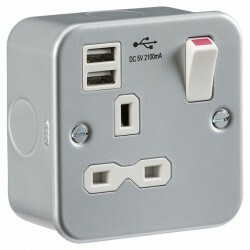 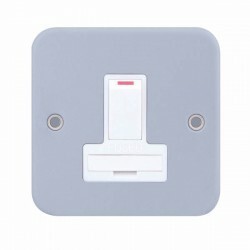 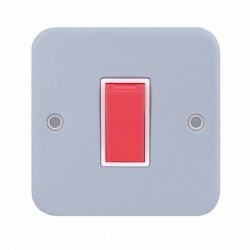 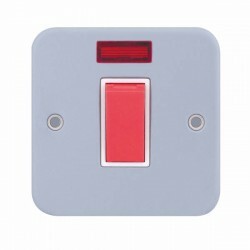 Greenbrook Metalclad 3 Gang 10AX 2 Way Switch at UK Electrical Supplies. 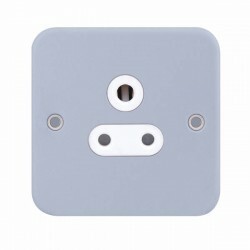 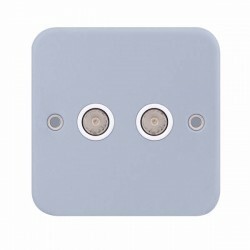 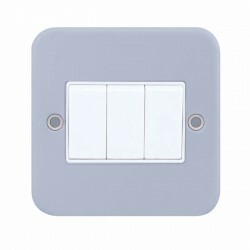 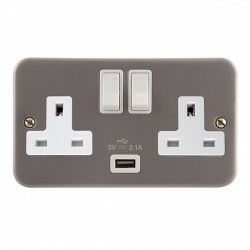 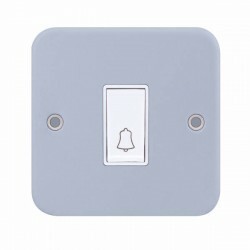 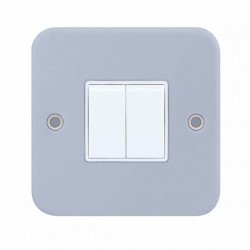 This 3 Gang 10AX 2 Way Switch (MC132) is part of Greenbrook’s Metalclad range, a robust collection of steel wiring accessories. The MC132 is suitable for use in a variety of different settings, including everything from warehouses to garages. 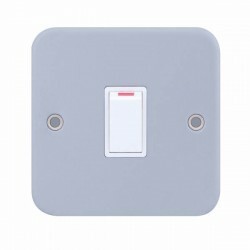 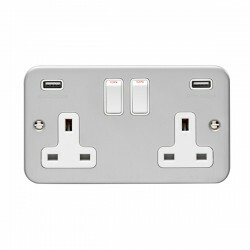 It comes complete with a metal back box and can be either surface mounted or fitted flush, depending on your requirements. 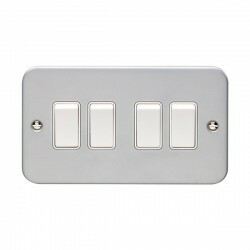 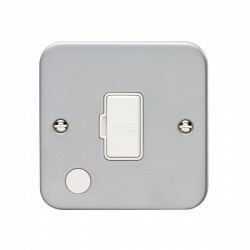 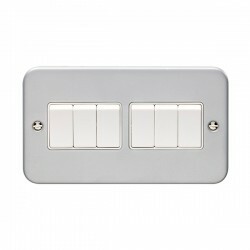 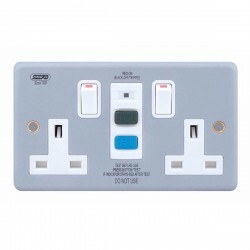 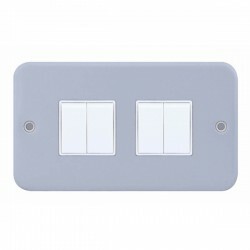 In addition to its hard-wearing metalclad finish, it also features a white insert, three matching 2 way switches, and a 1 year guarantee for extra peace of mind.